The summer I was 12, my family took a vacation to “See Texas.” If you’ve never traveled north to south in Texas, it might be hard to realize how long it took to drive 600 miles to our destination: Corpus Christi, and the Gulf of Mexico! From the Gulf, we drove west to the Mexico border to see the marvels of the new Falcon Dam on the Rio Grande, and from there back home, adding another 700 or so miles. This was a time prior to super highways, a time when every small town the highway passed through had at least one traffic light – and a cop waiting to catch a speeder! It was slow going, and very few cars were air conditioned. We kept cool by rolling down the windows, at least part way. In the next 10 days, we would travel to Abilene, San Angelo, Austin, San Antonio, Corpus Christi, Falfurrias, Falcon Dam, Laredo/Nuevo Laredo (where we crossed the border into Mexico – no passports needed!. Then to Uvalde, Sweetwater, Snyder, and Post – then back onto the Plains: and finally: our farm in the community of Harmony. On our trip, we left said farm on the South Plains of Texas (near Petersburg) and drove to Abilene for the first night with Daddy’s cousins Bob and Averil. We kids slept on a pallet on the floor in the spare bedroom where Mother and Daddy slept. The next day we drove through Austin, where I took snapshots of the pink granite Texas Capitol building with my Brownie Hawkeye camera. I did not like being stuck in the backseat of the 1953 Chevy with 6-year-old Nita Karen and 3-year-old Larry, so – unencumbered by seat belts — I spent a lot of time hanging over the back of the front seat, listening to conversations between my mom and dad, and watching the road. The day before we left home, I’d started my first period! I was curious and wanted to check my menstrual flow, but I couldn’t; I had to protect the children. Sometimes I had mild cramps; I was learning about that, too. What a disappointment: to become a woman at 12. It certainly wasn’t all it was cracked up to be. Along the way, we spent a few nights in a motel. Routine became ritual: Mother and the kids would stay in the car while Daddy walked to the office to ask the price of a one-night stay. He might return with a sigh: “They want too much!” But before long, he developed the skill of identifying a motel with a price that worked for our budget: a small unit (each, a separate cottage from the office) where we’d have one bed for three kids, and Mama and Daddy would have their own bed in our one-room stay. After a good night’s sleep, it was on to San Antonio. Daddy got lost looking for the Alamo, which he had visited as a single young man. He got turned around in the city on narrow streets built for horses and buggies, not shiny new cars. He took a wrong-way turn onto a one-way street. “It wasn’t a one-way street the last time I was here!” he explained to the nice policeman who stopped us. Eventually we found a parking place and toured the sacred grounds of Texas’s most intense memorial battleground, impressed by the hallowed ground we walked. After another night in a motel, we finally arrived in Corpus Christi to visit Mama’s older sister, Elsie. The next day we drove over a bridge to Padre Island on the Gulf of Mexico, following Uncle Champ with Aunt Elsie as his only passenger and carrying the picnic supplies. I had never seen a body of water big enough to have waves! Everybody got to swim in the warm ocean – except for me. Mama said I couldn’t go in the water because I was on my period. Instead, I waded in the shallow water while everyone else played in the waves. The waves were uneven – most were small and flat, but I learned not to trust them; some were bigger. I was bent over looking for seashells when a wave hit my chest, drenching my white blouse and white shorts, instantly turning them transparent. Horrors! Not only was my AA junior bra visible, but so was the secret belt that held my Kotex in place. I was mortified! This would be the only time in my life I would see Cousin Barbara Jean in person, but her words liberated me. She schooled me to Real Life and let me in on female secrets: My mama was wrong! Barbara Jean opened up a new world for me, independent of what my mother’s generation believed. Beth Kozan is the author of the book Adoption: More Than by Chance and the forthcoming Helping the Birth Mother You Know. 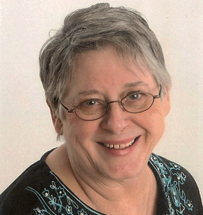 Beth worked in adoption for 35 years and retired to write. She has many more books than these titles to write and will emphasize and explore the concept of community in her additional books. “Growing up in a close agriculture-based, rural community in Texas, I felt the comfort and bonds of caring for others which is often missing in our busy lives today. Exploring and building communities for today is my writer’s goal.” Follow Beth on Facebook or visit her website, where she reviews books and films featuring adoption. This entry was posted in Beth Kozan and tagged family history, Phoenix Publishing & Book Promotion, Texas, vacation. Bookmark the permalink. Beth, I can certainly relate to the cross-country automobile trip and the lessons learned and unlearned concerning the menstrual cycle! Old wives tales die hard, and our generation learned our share of them. Thanks for sharing your memories. They’re precious! Your essay certainly took me back to my youth, and the horror I felt when I realized I was going to be “cursed” the rest of my life. I, too, started the menstrual cycle early because of surgery for appendicitis at age 10. On the other hand, it all stopped when I had a hysterectomy at age 42. So, sometimes life IS somewhat fair. I love reading your blog posts!